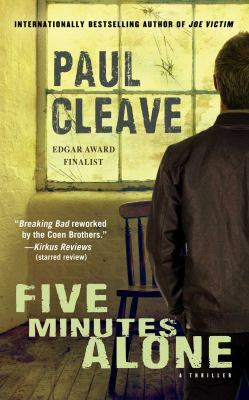 I had feared that this eighth installment in Cleave’s Christchurch Noir series might be the beginning of a decline – but I actually think it is the best so far. Pushing the boundaries of his thesis of what is good / bad, who is villain / hero, Cleave takes us on a roller coaster ride of vigilante killings gone bad. The characters we have seen get battered and damaged through the series are back – Theodore Tate is back on the Force after being in a coma, his wife Bridget is home again but has lapses during which she thinks their dead daughter is still alive, and his ex- partner Carl Schroder has survived a bullet to the brain – sort of. Even Tate’s new partner has been severely injured in an explosion where Schroder saved her life. The tale starts when the man who stabbed and raped a young woman, Kelly Summers, five years previously is released from prison. Schroder, now isolated through his injury, finds out about the release and begins to think of all the times the loved ones of victims of violent crime have asked: “When you find the man who did this, give me five minutes alone with him” – and then goes on to think that maybe granting that wish would achieve fairer punishment than that offered by the Justice System. And things fall apart from there. The fulcrum of the plot is the friendship between Tate and Schroder – both of whom at various times through the series have been either the voice of ‘the law’ or the one who takes the law into their own hands. The plotting is thrilling – I was taken by surprise a number of times – and the pace relentless. It builds to a tragic denouement – and I really hope this isn’t the end of the series!